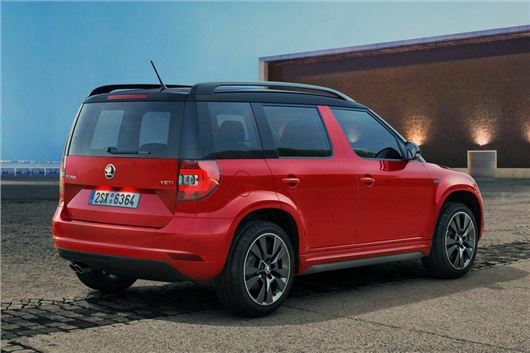 Skoda has made the 110PS 1.2-litre TSI petrol and the 110PS 2.0-litre TDI diesel available for the first time in the Yeti Monte Carlo. Prices for the petrol start at £19,700, while the diesel costs from £21,045. Additionally, the petrol variant can be bought with a DSG automatic transmission for £20,800. Economy for the 1.2-litre petrol is 51.4mpg, with emissions of 128g/km, regardless of transmission. The diesel produces 118g/km and is officially capable of 62.8mpg. All three variants are offered with front-wheel drive only, but those who want four-wheel drive will still be catered for, since the 150PS 2.0 TDI 4x4 Monte Carlo is still available. Monte Carlo specification includes 17-inch black alloy wheels, a contrasting black roof, black rear pillars, a black grille and Monte Carlo badges. Inside there are sports seats and Monte Carlo specific details on the floor mats, instruments and sills. Order books are open now.